* The latest RTE for Win32 (Rte4win32) can be down-loaded from following URL. this product is free from any problem. * The contents and specifications of this software and this manual are subject to change without notice. * MS-Windows, Windows, MS, and MS-DOS are the trademarks of Microsoft Corporation, U.S.A.
trademarks of the manufacturer of the corresponding product. KIT-V850E/PG2-IE is a kit that performs in-circuit emulation for NEC RISC microprocessor V850E/PG2. Using a dedicated emulator chip in the kit has made it highly transparent, compact, and lightweight. The main body which can use this product is as follows. Please use it after adding IF card (IF-IE80) of an option. → Refer to the manual of the RTE-2000(H)-TP. → See Chapter 4 in this manual. → See Chapter 5 in this manual. → Refer to the manual of RTE for Win32. 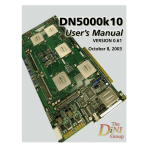 → See Chapter 6 in this manual. → Refer to the manual of the target debugger. Don't set any values other than the combination of a table to the CKP register. SW1 and 2 are the upper surface of a central board, and near the pod tip. Please do not change a setup of those other than SW2. Connect this product to the user system using the following procedure. Solder NQPACK supplied with the product on the user system. Turn the power to the host personal computer on. Turn the power to the RTE-2000(H)-TP on. Confirm that the LED_POWER indicating the power status of the pod comes on. Turn the power to the user system on. Confirm that the LED_TON indicating the power status of the user system comes on. Start up the debug monitor. Turn the power to the user system off. Confirm that the LED indicating the power status of the user system goes out. Turn the power to the RTE-2000(H)-TP off. Turn the power to the host personal computer off. of the socket is determined. Use the  mark. The following figure shows how the V850E/PG2 pod is connected to the user system. This chapter describes the setting of RTE for WIN32. ChkRTE2.exe to set up the configuration of "RTE for WIN32". Please set up the "RTE for WIN32" configuration at least one time for newly installed hardware. From Product List, select the V850E/PG2-IE located beneath the IE tree. system is on if it is connected. If the power is off, an error occurs. This chapter provides the precautions you should observe when using KIT-V850E/PG2-IE. others when it is energized. Otherwise, a failure may occur in the main unit. emulator is used with the ASID register set to other than 0x00, a break function may be disabled. becomes parallel to the board on the user system when it is connected to the user system with the NQPACK. After adjusting the height, tighten the nut to fix the screw position. A clock cannot be supplied from a user system. direct CPU connection. Design the user system with accommodating this delay. instruction next to the HALT instruction. execute two instructions, it is invalid. The time command displays the execution time from the previous "execution to a break". the execution time, remove the breakpoint at the execution start address. A trace display is possible for the program executed in the space of internal ROM also in execution. V850E/PG2 pod cannot be replaced. insertion/removal, install a 208-pin YQ socket previously for protection purposes. Be sure to refer to the Release Note and other manuals if provided. Remark: TVDD5 is an internal power supply equivalent to a 5-V power supply in the user system. This appendix describes the real-time trace function. trace buffer in the ICE for each execution. You can check the data using the trace command. and other conditions to specify the loading of trace data. For the flow of loading trace data, see Figures 1 and 2. (FIFO) in the CPU becomes full, part of trace data may not be loaded (Figure 4). full in this mode, the CPU execution is temporarily stopped and is automatically restarted (Figure 5). event condition is satisfied, the qualify condition is also satisfied. is loaded in the sub-switch on state and the loading of trace data is stopped in the sub-switch off state. check the details of the execution before and after the trigger. (td1, td2, td3, or td4) is accessed. • The external signal condition is as specified (tron noext|posi|nega). • The event match point factor is established (evt match). To stop loading trace data, use the status of the sub-switch according to the section and qualify setting. After trace is terminated, no more trace data is loaded. When the end condition is satisfied, unlike the stop condition, trace is not restarted (Figure 9). • Forcibly terminate trace (troff). No more data is loaded. count (number of cycles) after the start of trace. In this mode, the trigger condition is ignored (Figure 10). When CPU execution starts, trace is started in this mode. cycles as the delay count.